Most of us are music lovers, and we enjoy it best from our smartphones. However, it is a tiring task to keep transferring music from a laptop or PC to our phones. To make this process easier, it is possible to get music directly from the internet to your phone. If you have an Android phone with access to Wi-Fi, it is easy to download any music of your choice and play it when you are offline. 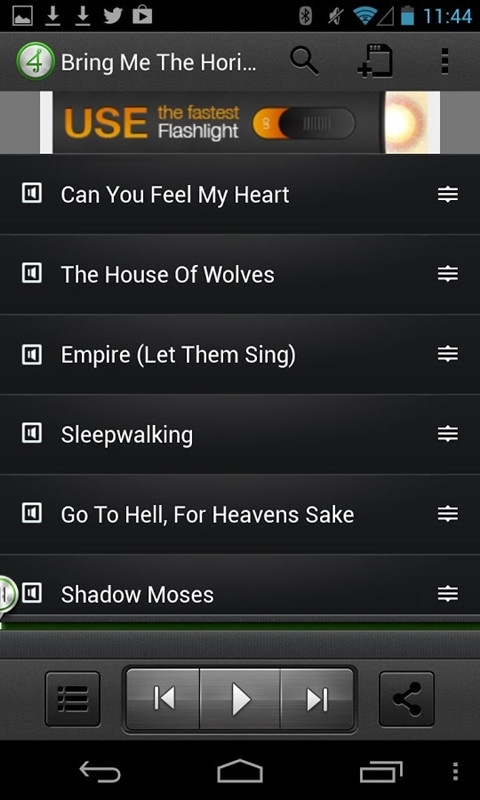 On Google Play Store, there are several apps that you can use to download music for free and play later on your phone. However, there are some that are not genuine, and all they do is redirect you to a link on the net. Nevertheless, there are several others that can be useful when it comes to downloading music. Below are five best free music download apps for android. Available for Android users, 4shared Music is a must have app if you want to download music thanks to the extensiveness of its files. This app not only makes downloading possible, but you can also share your music with others or store it in the cloud if you don’t want it to consume your phone memory. When you create a web account, 4shared makes 15GB of storage available to you. You do not have to keep going through your music files to get your favorites, simply create a playlist from which you can access all your best tracks easily. To make the deal sweeter, you can also upload your favorite tracks from your Android device to 4shared. This way, you have all your music in one place for convenience. Click https://play.google.com/store/apps/details?id=com.forshared.music&hl=en to Download 4shared Music from Google Play. Music Mania is also a free app on Google Play Store and has a very high rating. This app makes it possible for Android users to be able to search for CC Licensed, Copyleft and download hundreds of legal songs for free from legal sources like SoundCloud.com. This new cool makes it possible for you to listen to music before you download it to your phone. If you like it, then you can go ahead and download it. Click https://play.google.com/store/apps/details?id=com.kherenchoi.biggermusicplayer to Download Music Maniac – Mp3 Downloader from Google Play. As the name suggests, this app is a downloading paradise. You can download millions of tracks at no cost at all. This application enables you to search for Copyleft Mp3 music files/music and also get to listen to them. It makes searching easy as you can search using the artist name, album or just the song title. It gets even better if you are looking for a hit. You only need to know the name of the artist then search for the song. The application is free to download, and your downloaded music will be stored in the app’s library. 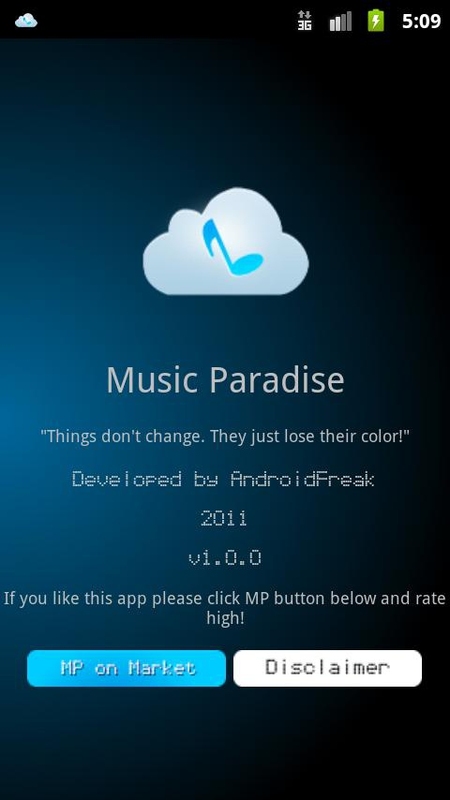 Click https://play.google.com/store/apps/details?id=music.paradise.download.pro to Download Music Download Paradise from Google Play. GTunes was initially known as Simple MP3 Downloader. It is an effective and easy to use downloader that enables users to download lots of music tracks for free. GTunes also makes it possible to play music on public domain sites such as 7digital.com, jamendo.com, Last.fm among others. It even gets better as you can use any of your song as a ringtone and even assign it to a specific contact in your phonebook. Some music comes with lyrics that flow perfectly well in terms of the timings. You also do not have to worry about ads popping up on your screen when using the app. Click https://play.google.com/store/apps/details?id=com.freemusic.downloadmp3.toniRu to Download GTunes Music from Google Play. This app from Google makes it possible for users to download and store their music online. So you don’t have to worry about music eating up your storage space. However, if you have free space, you can buy the files at very low price and save them on your device. The fact that this app is from Google makes it something you don’t want to miss out on. It gives an amazing experience as you can download and share your music through Google+. People in your circles can know what you have been listening to via this application. When you buy music, it will automatically be saved in this app for convenience. Even better, you can get custom radio for any song album or artist. Click https://play.google.com/store/apps/details?id=com.google.android.music to Download Google Play Music from Google Play.